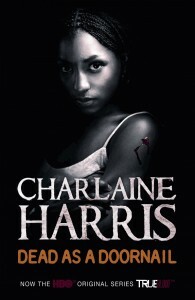 Other: Fifth book in the Sookie Stackhouse series. There are currently 10 books in the series, with two more being published in the future. The eleventh installment, Dead Reckoning, will be published May 3rd, 2011. Warning: This review and synopsis contains (slight) spoilers for those of you who haven't read the previous books in the series. Reading is at your own risk. When Sookie sees her brother Jason's eyes start to change, she knows he's about to turn into a werepanther for the first time - a transformation he embraces more readily than most shapeshifters she's known. But her concern for her brother becomes cold fear when a sniper sets his deadly sights on the local changeling population - and Jason's new panther brethren suspect he may be the shooter." Now, Sookie has until the next full moon to find out who's behind the attacks - unless the killer decides to find her first. In this fifth installment in the Sookie Stackhouse series, there's a killer on the loose once again - and this one is taking down Weres and shapeshifters. Sookie gets assigned a vampire to serve as a bodyguard, but he doesn't turn out to be of much help. Sookie is known for her talent to get into trouble without her own fault, as we've seen before. Besides that, Sookie has a ton of admirers that want her attention. The latest addition is Quinn, a not-fully human male she met at the election ceremony for the new pack master of the Weres. I gotta say, I'm a pretty big Eric fangirl, so to see that Sookie is thinking of taking another detour, isn't really exciting me. I find the Sookie Stackhouse books easy to read, but I do have some difficulty with the plots in the books. I can't see them coming for miles and even though that's a big thumbs up, I like to see a little of what's going on. I'm enjoying myself nontheless and I'm definitely going to be reading the rest of this series. 3.5 stars - I found this one easy to read, but sometimes it's a little over the top - and that includes Sookie's male fanclub.